Sunday afternoon I was in the kitchen preparing dinner when I heard a steady drip, drip. I checked the faucets, but there was more water on Mars than in the sink at that moment. I cocked my head to the side and listened carefully as the drips increased in volume and intensity, turning into splats. And then I spotted a foul-smelling brown liquid seeping through the cabinets and underneath the microwave, fat drops falling to the stovetop below. And I am not afraid to admit that I recoiled in horror and had to fight back a scream threatening to erupt from my throat. 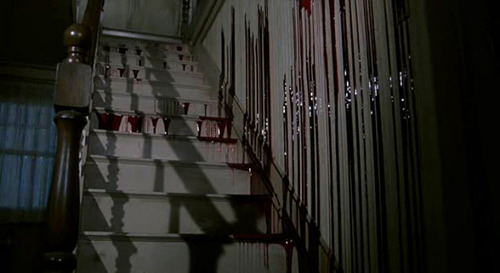 I immediately thought demonic entity because, hello – “The Amityville Horror,” anyone?! Fortunately, upon further investigation, I discovered it was merely fish sauce and not the blood of the undead. Turns out I had inadvertently knocked over a bottle of fish sauce we store in the pantry above the microwave when reaching for the vinegar. Whew! And…phew. ‘Cause that stuff imparts great flavor to Asian cooking, but boy howdy does it smell to high heaven. We had to open all the windows, turn on the fan, and light candles. Tara was not amused, even when I tried to lighten the mood with my “just think, dear – this will make a great blog post!” line. And the verdict may be out on the “greatness” of said post, but here it is nevertheless. I hope you’re sufficiently entertained. 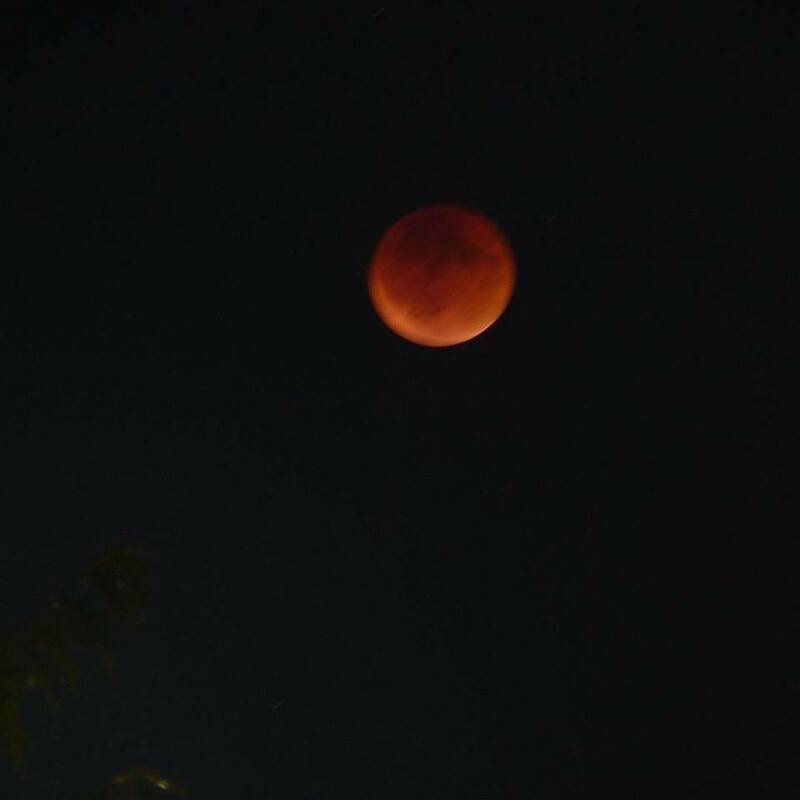 Speaking of entertainment, how ’bout that super blood moon lunar eclipse thingy the other night?! Good stuff! I even managed to get a halfway decent pic, even if it’s a little blurry. Tara and I walked out to the sidewalk in front of our apartment complex where I set up my tripod, attached my “real” (read: not “phone”) camera, and took a 15-second exposure. I think it looks like either a jack-o-lantern or Charlie Brown. Come to think of it, the resemblance between both is sort of a major plot point in It’s The Great Pumpkin, Charlie Brown! Which we can watch soon, since October is tomorrow. Good grief. Where has this year gone!? At least we’ve had plenty of adventures. A couple of weekends ago, Tara and I went camping on the Washington coast. It had been two years since our last outing – way too long in my opinion. Because nothing beats sitting around a campfire drinking. Well, except for sitting around a campfire drinking and eating. Fortunately, we did both. And also threw in a nice sunset and a scenic hike to a cliffside lighthouse. This weekend, Tara’s got a girl’s weekend on the Oregon coast with a few of her closest friends from Nevada. Because I’m jealous as hell jonesing for a little adventure of my own, I’m taking Friday off myself to go for a hike. On the Oregon coast. I swear I’m not trying to crash her party! I’ve been wanting to hit this trail for awhile now, anyway. Afterwards I’m going to relax on the beach, maybe catch a sunset, and then stop by a little dive bar in Garibaldi that some of my coworkers have raved about. You must have super human ears to hear sauce dripping! Ha! Well, I happened to be right there, chopping or dicing something. I’m sure the smell would have hit me sooner or later, regardless. An excellent blog topic, Mark! So funny I had to read it out loud to my co-workers. Because, apparently when I actually Laugh Out Loud at work over something I’m reading, they believe it must be particularly amusing. In this case, they were right! Thanks for the morning giggle. Thanks, Pamela! And I apologize for not responding sooner. I just now discovered all these unanswered comments. I think the fish sauce fumes must be affecting my memory now. Oh that’s terrifying!!! I can smell it from here! Nope! Although we figured out at one point, she must have driven right past where I was enjoying my cocktails. Well, I’m glad to hear it was just fish sauce and not the blood of the undead, but just think of THAT blog post if it had been! I know. Is it weird that I kind of wish it was some unholy spirit wreaking havoc on me? You have no idea how often I’ll think to myself, This is going to make one hell of a blog post! Perhaps you should find another place to store the stink? I am with Tara, I would not be amused. Great picture, couldn’t see it from my house here in Dallas, dang. Well I am heading in your direction this week. Seattle here I come, where I can light a doobie but not a cigarette. You can light a doobie in Portland now, too! So much for all our clean air out here. But I dig the rampant liberalism. I did find a new place to store it, actually: the trash can. 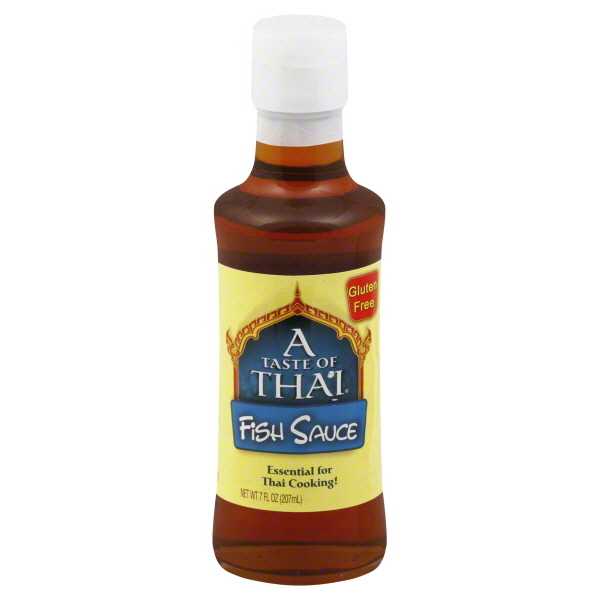 Many Vietnam vets relate that the worst thing about the war was the stink and taste of this rotten fish sauce. Is this a true story, Carl? It’s got a “whiff” of believability about it.